Hi there! 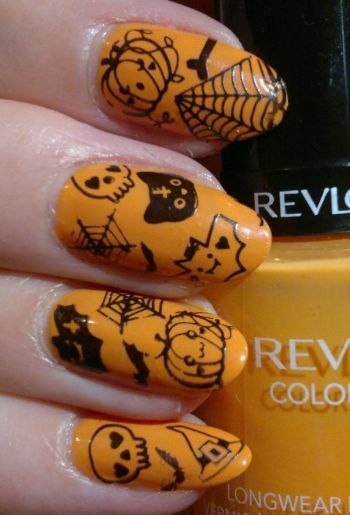 This is my first nail post of the year – and I’m continuing with the 31 Days Nail Art Challenge. This mani is my entry for challenge #12 Stripes. I didn’t fancy ‘proper’ stripes, so I went for animal stripes. 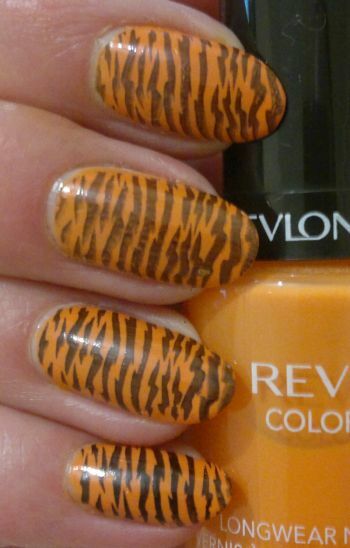 For this mani I painted my nails with Revlon Colorstay 090 Sorbet (2 coats). 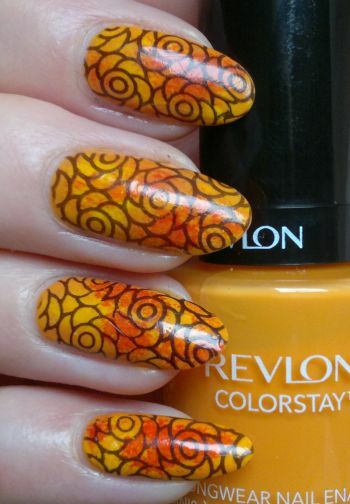 I’m not a big fan of orange nail colours in general, so whenever I wear orange polish, I stamp! The image I chose is from Bundle Monster’s BM-S161 plate which is part of Bundle Monster’s Fuzzy & Ferocious collection. 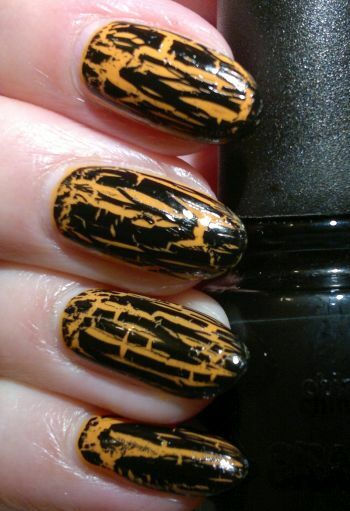 The black polish I stamped with is the phenomenal Revlon Colorstay 270 Stiletto. I managed to smudge a few of the images – again. This is what happens when I do my nails 20 minutes before bed time. However, I was still pleased with the mani. It’s not the most individual mani, but in real life it looked surprisingly nice.